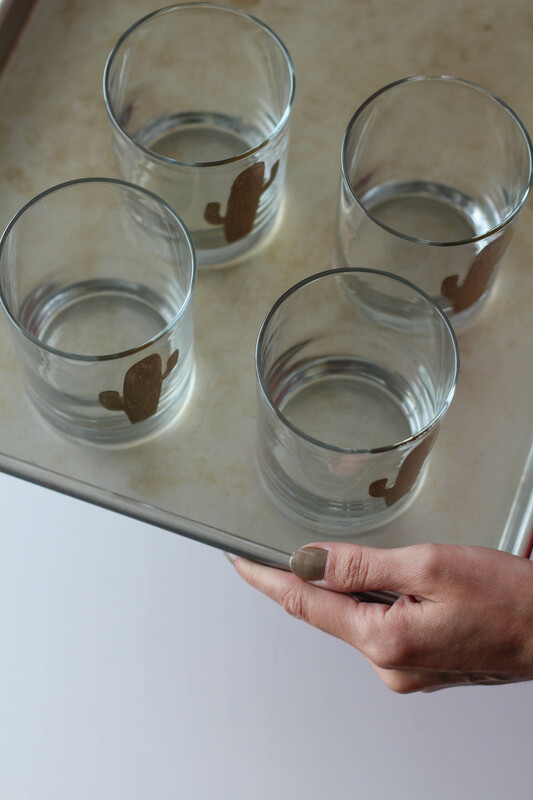 Today, I’m sharing the EASIEST (no, really, the easiest) way to jazz up your glasses to serve these bad boys in. You only need 3 things to make these DIY cactus glasses and you can do it all for about $4! Crazy, right?! Glasses – I got mine from the dollar store. Yep, a freakin’ dollar guys! They are SUPER simple to make. Like, beyond easy. I promise. 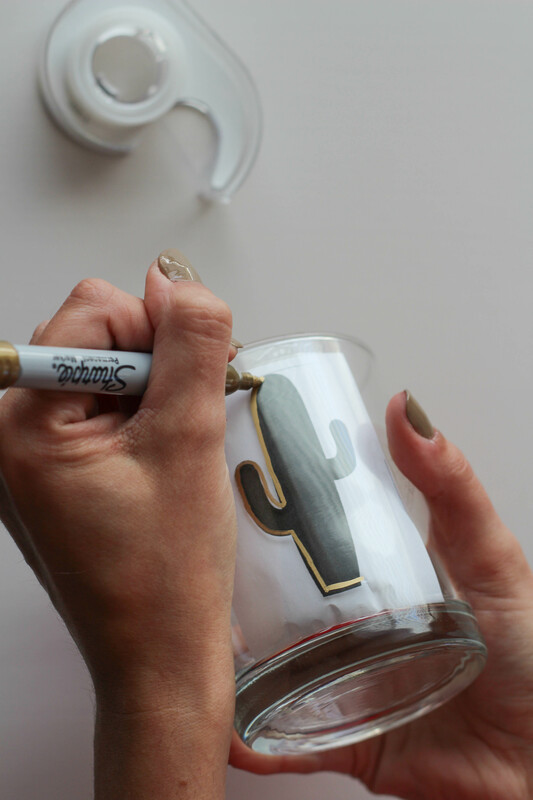 First, print out the image that you want to transfer onto your glass. 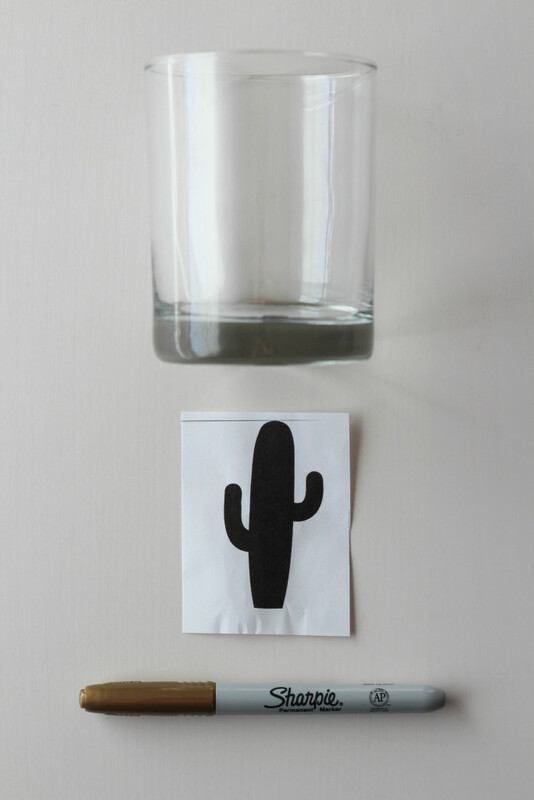 Cut it out and tape it onto the inside of your glass, with the image showing through. Trace the image using your gold sharpie. 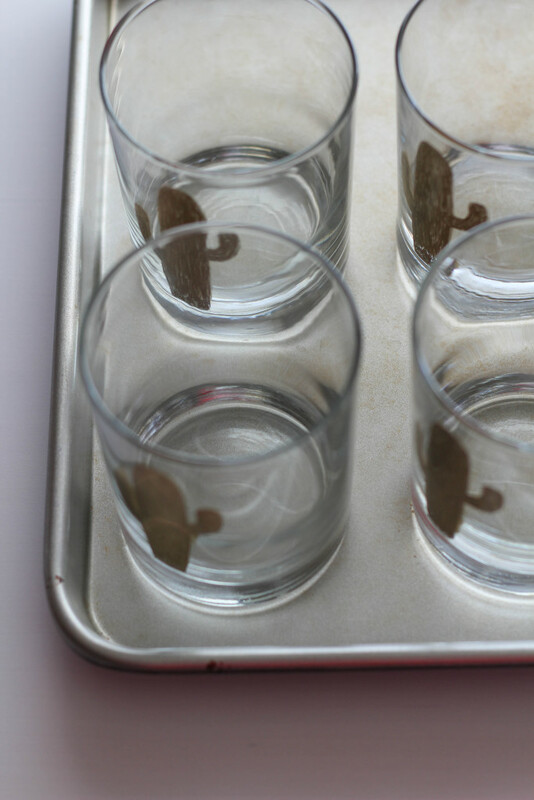 Remove the paper from your glass and place your glasses on a cookie sheet. 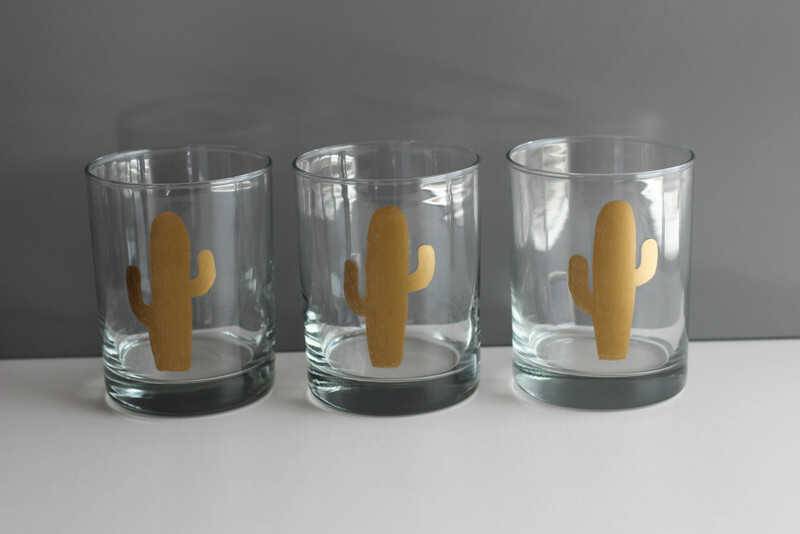 Bake your glasses for 30 minutes. Take them out and let them cool completely before using. Was that easy, or what?! Told ya. 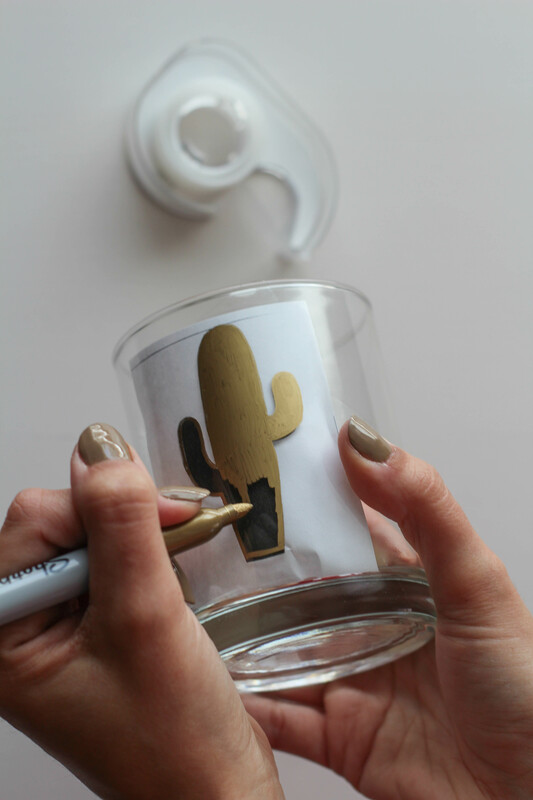 You could use any traceable image and any type of glass that you have on hand too. The possibilities are endless! After using them, keep in mind that they are hand wash only. Bummer, I know. I am guilty of only buying items that have “dishwasher safe” printed on the packaging. But they are so fast and cheap to create that it’s worth the hand washing hassle. They would make a great gift too! 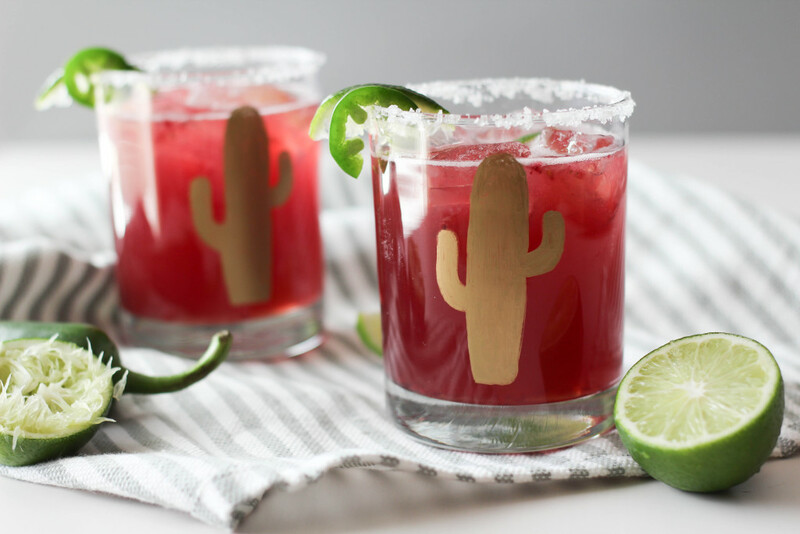 Pair the DIY cactus glasses with a cocktail mixer, some salt, a few limes, and you’ll have the perfect happy hour gift basket ready to go! 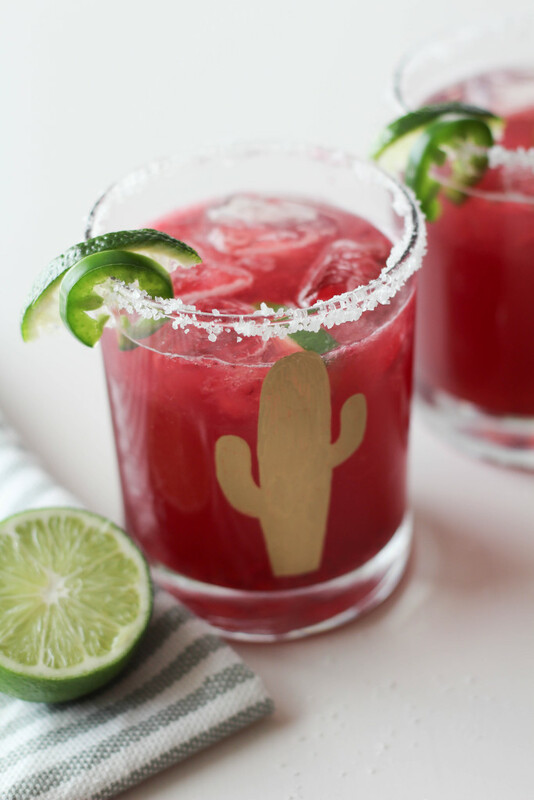 Thanks so much for including my project Emily! I’ll check it out! !